This was said by Nguyễn Xuân Hồng, former director of the ministry’s Plant Protection Department, at a conference on organic farming held in Hà Nội on Thursday. The event is designed to get opinions from experts, producers and enterprises to finalise a decree on organic farming before submitting it to ministries and departments for comments. Then, it will be sent to the Government for approval. Once issued, the decree will contribute to developing Việt Nam’s organic agriculture sector, meeting the needs of domestic and international consumers, increasing income for farmers and businesses, and creating biodiversity and sustainable landscape. At the conference, delegates revised the TCVN 11041: 2015 national standard for the producing, processing, labeling and marketing of organic food. Participants spoke about the strict management of production, business and the certification of organic products. Experts encouraged enterprises to invest in producing and trading organic products, investing in the production of organic fertilisers, biological fertilisers and biological plant protection products. Hồng said it was necessary to invest in scientific and technical research, create a favourable business environment for organic enterprises, and support cooperative groups who wanted to take up organic agriculture. 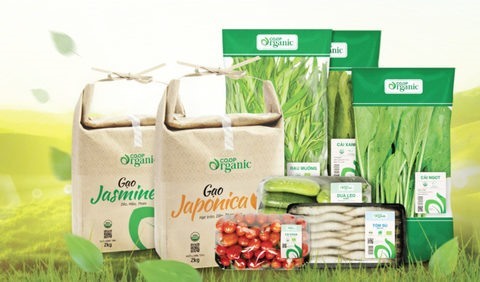 MARD deputy minister Trần Thành Nam said domestic enterprises had invested in organic farming and actively applied international standards to meet the demands of the domestic market and exports. Currently, many types of products are labelled organic, but most do not yet meet organic standards and safety requirements, causing lack of trust by consumers. Therefore, Nam said it was necessary to develop a legal document to facilitate the development of organic griculture. The conference was organised by MARD, in accordance with European Trade Policy and Investment Support Project (EU-MUTRAP). It drew the participation of scientists, researchers, enterprises and producers of organic farming products.